Technical stagnation. 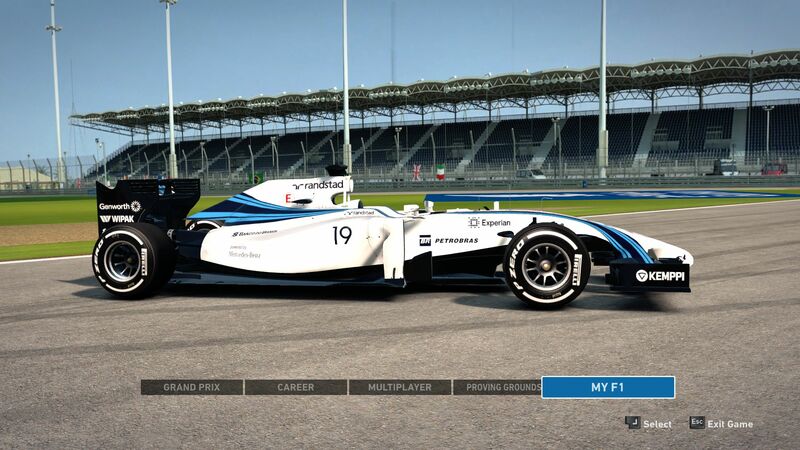 You snooze, you lose: This saying goes perfectly with the Formula 1 simulation from Codemasters. Even in 2014, users crazy for motor sports have to accept second-rate graphics. Learn here what this means for performance. 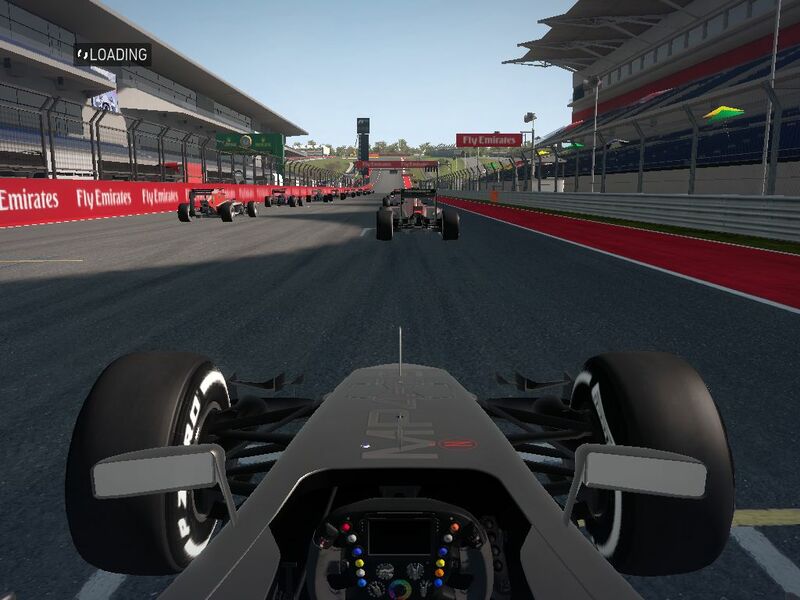 Instead of raising technology to the level of Dirt or GRID, the developer uses the graphics of the predecessor. You'll look for optical changes and improved performance in vain. The latter is not necessary since F1 does not have high hardware requirements, anyway. A simple update of the database (current season) for just under 50 Euros (~$63) will displease some buyers. However, we already know this approach from other sport games (e.g. FIFA). 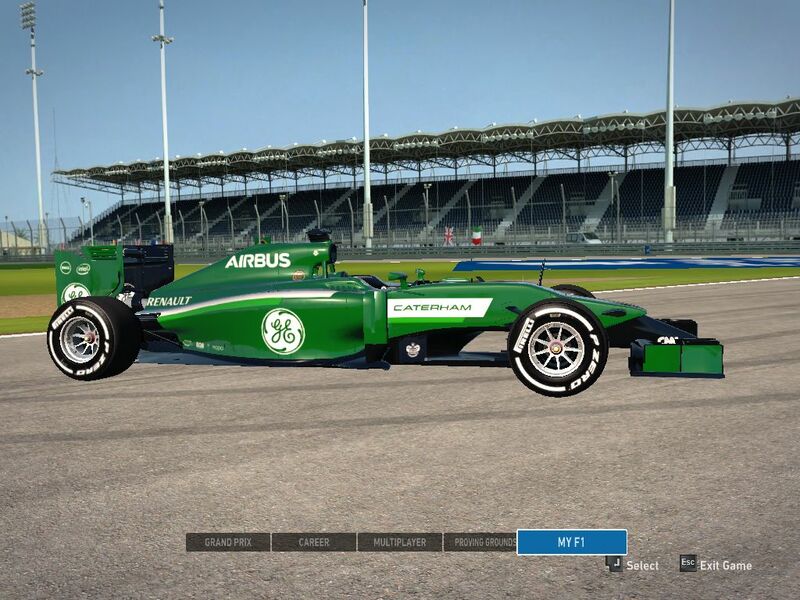 While the cars still look nice, the environment of the route is highly disappointing in F1 2014. Despite spectators, it looks very dull and lifeless. Some parts look like a ghost town. Is there high-end "3D grass"? No. Is there busy bustle beside the pit lane? No. But, the sound is quite convincing and you can get kind of a Formula One feel. 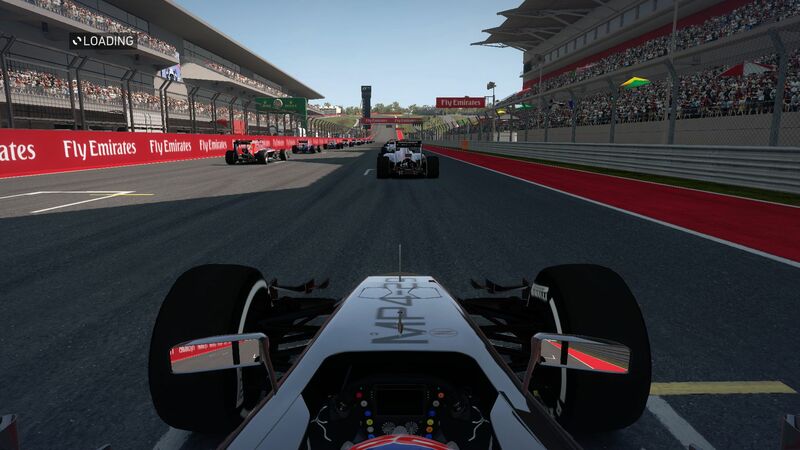 However, the atmosphere of the race simulation is not fantastic. 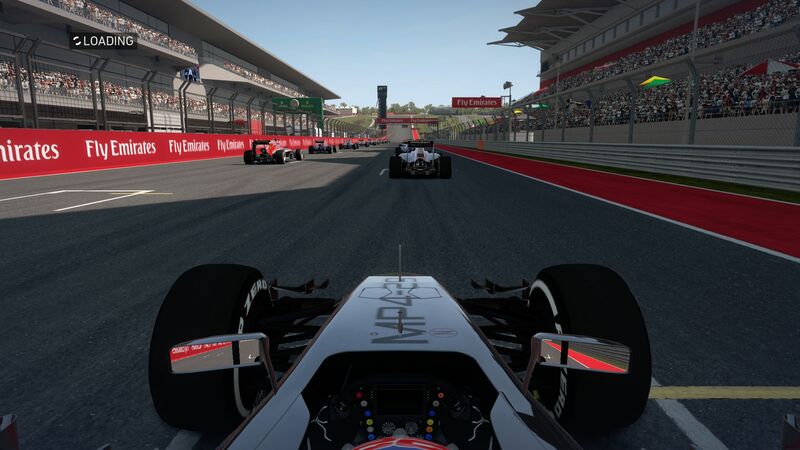 While F1 2014 looks quite nice at a first glance, squishy textures, a low number of polygons and low detail level are striking at a closer look. Lighting and other effects are also no longer "up-to-date." 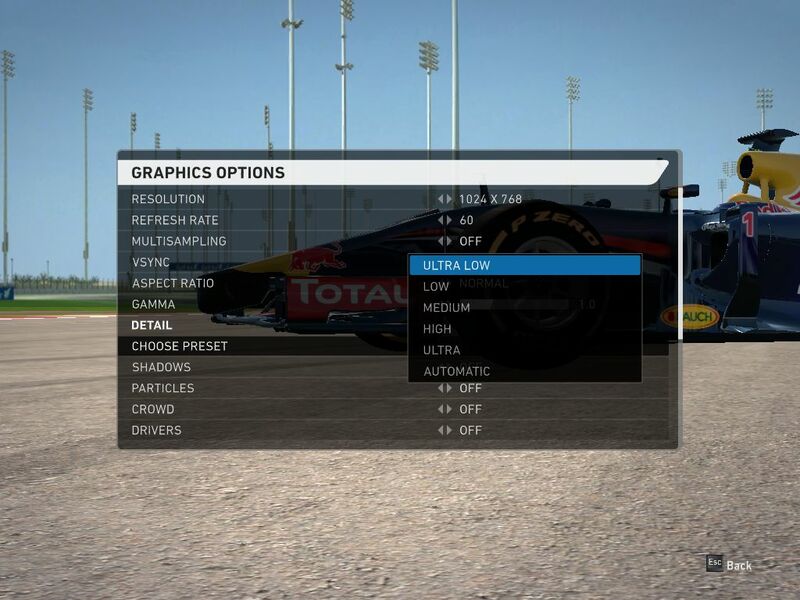 Alike previously, Codemasters scores points with a comprehensive graphics menu with five presets, several anti-aliasing modes and 10 details options. Warning: Although the settings are changed on-the-fly, a restart is required for these to take effect. This problem has already been known for several years. Speaking about problems: The Radeon HD 8970M aka R9 M290X could not run the 2014 version. While the .exe file was executed according to the task manager, it did not bring a picture (we assume that this is caused by the Enduro graphics switch). In addition, it is incomprehensible for PC purists that the tutorials only display controller buttons, but no keyboard commands. At least, F1 2014 only requires just 5 GB of hard drive space. Other games from 2014 (The Evil Within, Shadow of Mordor, etc.) need above 30 GB or even 40 GB. 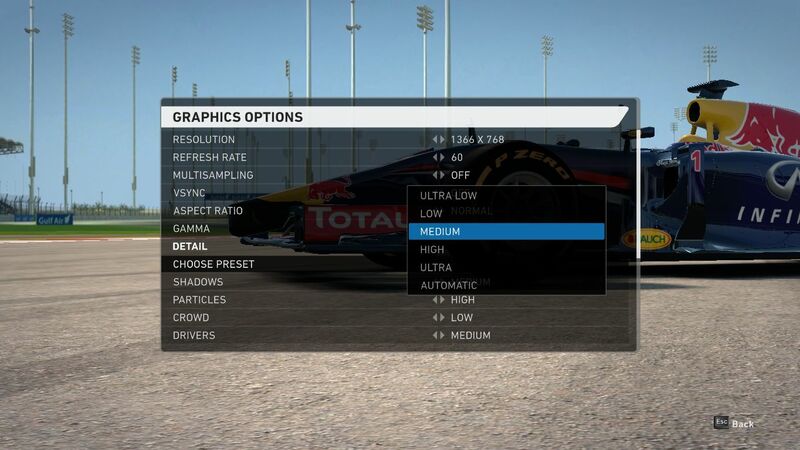 Users can run the integrated benchmark from the options menu. 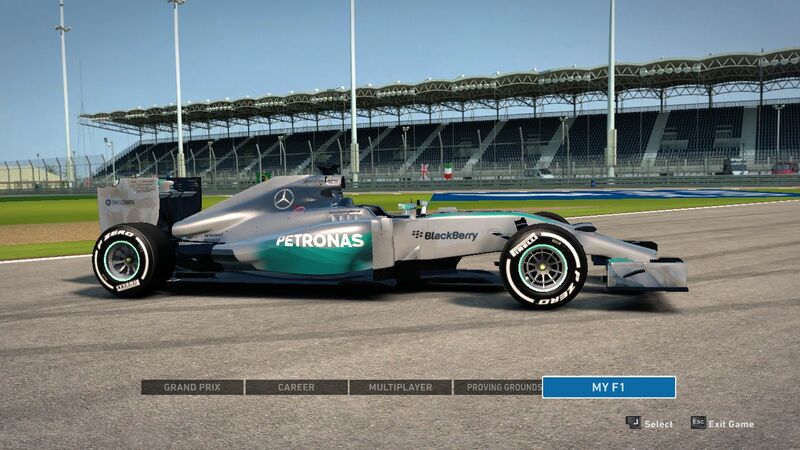 It is completely identical with the one from the 2013 version and so displays very similar results. Small performance differences of some percent between runs are caused by the varying sequence. Since it is a rather fast game, which requires fast reflexes, we recommend a frame rate of at least 40 fps. As already mentioned above, the results are very similar to the predecessor's. Even low-end GPUs with a performance like the HD Graphics 4600 do not have problems with 1366x768 pixels and normal details. A cheap multimedia notebook is sufficient for the high preset and 1920x1080 pixels. For example, the GeForce GT 740M achieved just under 50 fps in the benchmark. Ultra settings and 4x MSAA require slightly more performance, but the GeForce GT 750M is (almost) sufficient. Fortunately, only owners of very weak or extremely old notebooks have to live with low graphics settings. Speaking of low details: The processor is the main limiting factor (becomes apparent in the GPU comparison) with low settings. 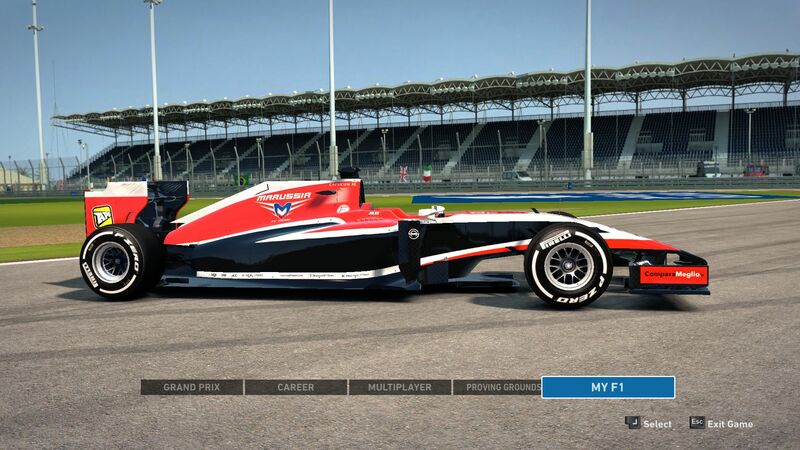 We can only hope that Codemasters will widely improve the technology with the next generation in 2015. All these notebooks used Windows 7 64-bit. Many thanks to Micron for the 480 GB Crucial M500. In addition, we used benchmarks from other notebooks possibly with different drivers.